Being a student of social entrepreneurship at TISS, I have believed in change as a summation of forces of difference. My primary passion being education especially education as a means of empowerment, I have explored this particular area of North Karnataka, where the quality of education is dismal with a high dropout rate and low pass percentage. This has led to children in these region being limited in their opportunities. 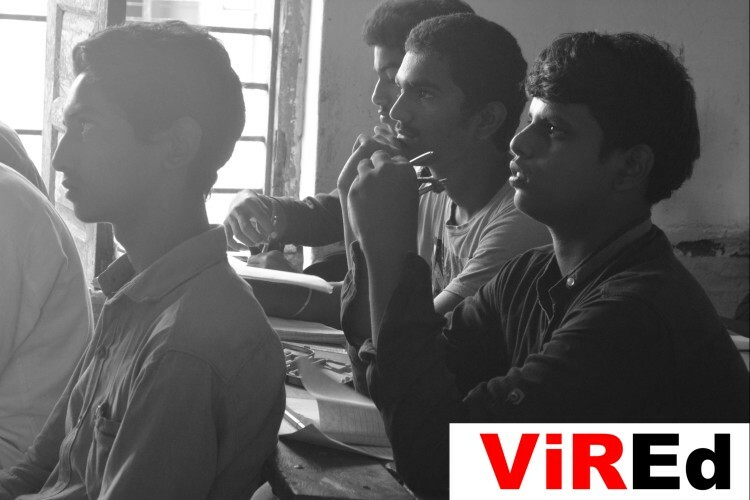 ViREd has begun as a venture that seeks to partner with various stakeholders such as the schools, parents, children, government, content providers and other NGOs involved in this space in synergizing our efforts in improving the quality of education in the government schools in this region. We aim to use e-learning, experiential learning, design thinking and other techniques to drive this change both at the level of the child and the institutional level. We are seeking funds to set up operations and work towards building infrastructure in a few of these schools. We are initiating to work with children who have failed in their 10th exams so that they could proceed in their careers so as to raise themselves out of the marginalized situations they come from. 1. We are beginning to intervene in the Government Practicing School in Kalburgi where the entire SSLC batch has failed which reveals the dismal quality of education provided and the standard of the students. We aim to use e-learning, use an evaluative platform called EkStep to track their progress. We are initially using acquired content. Hence for tablets for around 20 students (Rs. 5000/- per student) which would come upto a lakh. 3. For evaluation in terms of the students learning and also of the content we are creating a learning management system where we load our content, our evaluation platform etc. For this we see it costing around Rs. 2,00,000 to create and maintain for a period of a year. This is how the funds wil be utilized. Please do contribute for this cause. Your share could be as good as a donation for Government Students in North Karnataka! Not everyone can afford to take care of their loved ones. Government Students in North Karnataka's life can only be saved by donations made by kind people like you.